Some days you just gotta work for them. Steve Beaz gets it done with a cranker brown trout in Thermopolis. High water isn’t for the faint of heart. But if you know where to find them you can be rewarded. 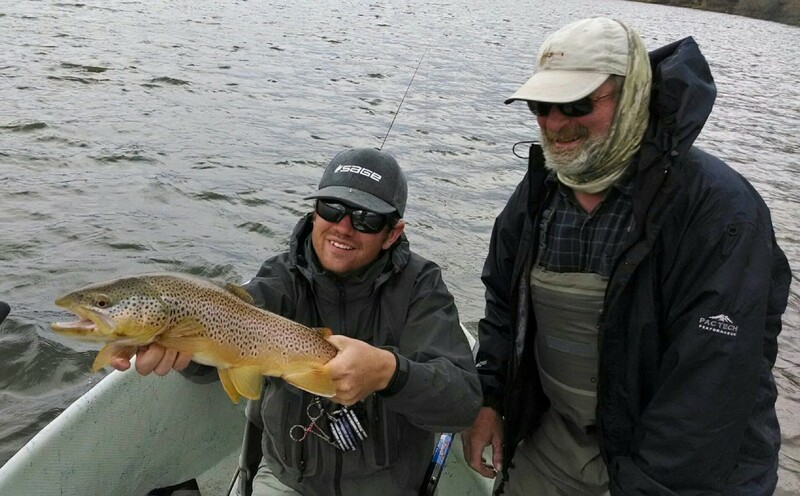 Best guide on the Bighorn River! Another casual day for the Bighorn Master Steve Beaz! Been a long winter….But spring is here! Look at you, Now look at us…. 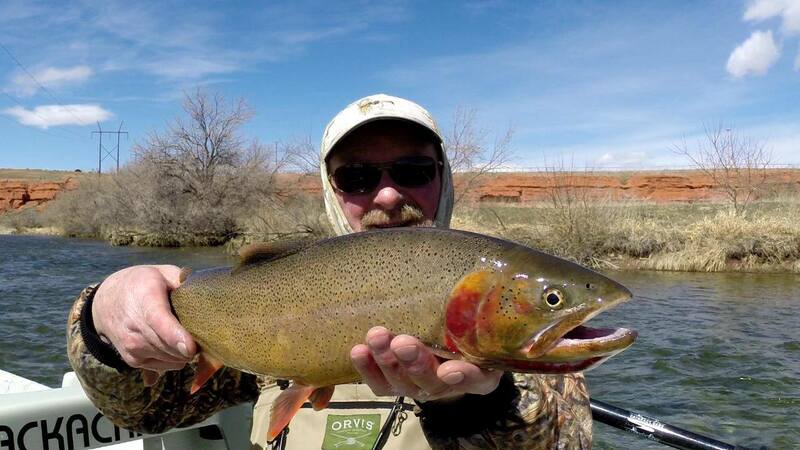 As an angler we tend to get caught up in catching more and more trout. 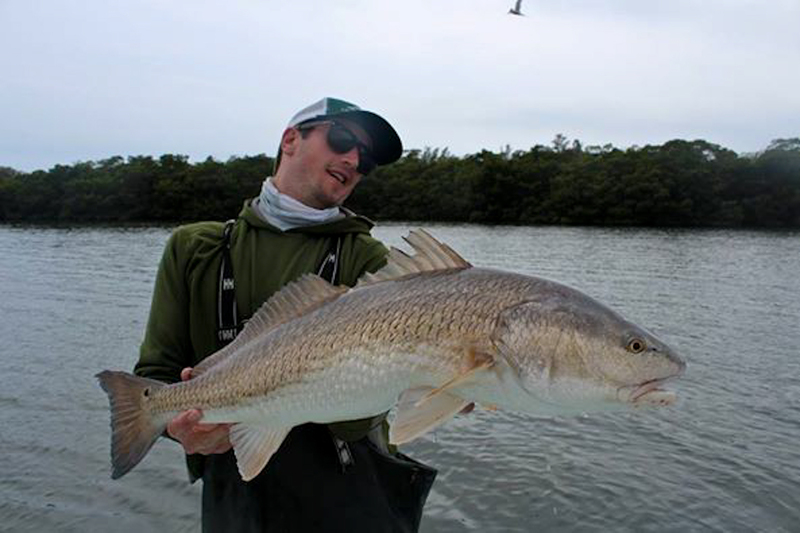 It often blows me away as a guide how few anglers/guides even look at the fish that they have spent thousands of dollars and countless hours pursuing. After working hard for a fish, many people just dump the fish back wanting “another one” or “a bigger one.” I too am guilty of this. I try hard to make the clients look at the fish, pointing out the colors, spots, and fins. 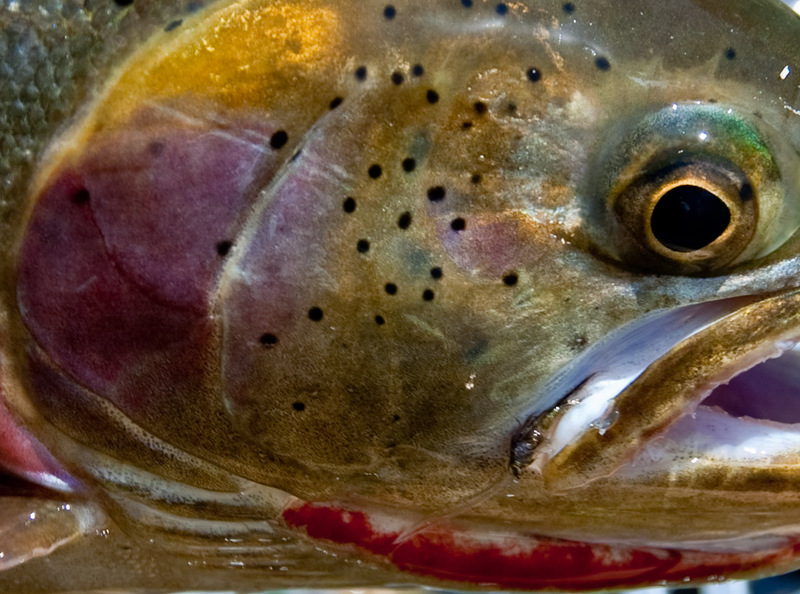 A few years ago, after working with a friend of mine who is a photographer I realized how complex a trout cheek can be. Go ahead slow down and look at the next trouts cheek. Im sure you will be surprised at what you find! 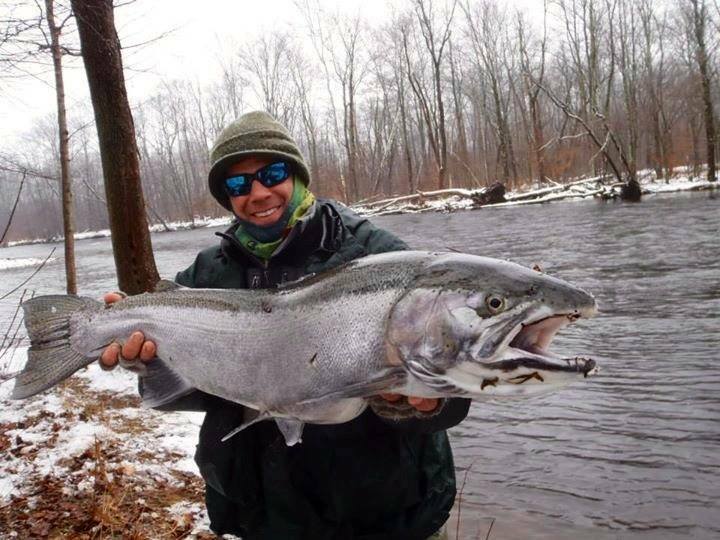 Got an email from an old water-polo teammate and fellow saltwater fishing guide….. casual day on the Salmon River in NY. HUGE FISH.